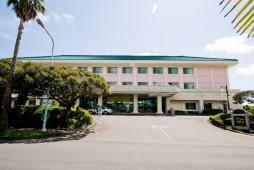 Hotel Hana is a small 3-story first class hotel located in the heart of Chungmoon Tourist Complex, the genearl resort area of Jeju crowded with many luxury hotels. In 2006, this first class hotel held an interior renovation and the exterior has been renewed with a 2-tone color of pink/white in 2007. You can enjoy a resort stay with a reasonable price! Chungmoon Tourist Complex is crowded with large luxury hotel as the complex is the general resort boasting beach, casino, leisure, sightseeing spots, etc but Hotel Hana is very reasonable! There is an inner courtyard with a pond and guests can feel like they are staying at a villa. The location of the hotel is very convenient as there are golf course, teddy bear museum and local restaurants within a walking distance. Rooms have a selection of double, twin, ondol, ondol suite, deluxe and suite. Guests can choose either a bed room or ondol type room. Ondol type rooms are available for standard and suite rooms.